Since the middle of October I have been attempting to trace the history of the concept “counter-Enlightenment.” I set out on this venture convinced that Zeev Sternhell’s account of the history was wrong and confident that the sketch that I had offered a few years ago in a paper delivered at the meetings of the American Historical Association captured enough of the story to need only relatively minor adjustments. My agenda in commencing these posts was to figure out just what those adjustments might be. But one of the peculiar features of carrying out this exercise (an exercise that, as Hegel somewhat snidely described his friend Schelling’s early publications, amounts to “conducting one’s education in public”) is that it sometimes leads in unexpected directions. While I have already run into quite a few surprises along the way (e.g., the diversity of German uses of the term, the unexpected appearances of the term in English during the first half of the twentieth century, and so on), the biggest one came at the end. However, as my survey of uses of the term has come closer to Berlin’s first employment of the term in his 1973 entry on the topic in the Dictionary of the History of Ideas, I have begun to suspect that this way of thinking about Berlin’s role rests on a false premise: namely, that his use of the term marked a significant change in the way in which the concept was being used. After working my way through the myriad uses of the term by American historians, literary critics, and social critics during the 1950s and 1960s, I have found myself wondering whether it makes sense to assume that the appearance of Berlin’s entry in the Dictionary of the History of Ideas had much impact on the use of a term that, by 1973, was by no means unfamiliar. There are good reasons for continuing to see Berlin as closely associated with the concept. But I think that there is little reason to see him as having had a significant influence on the way in which the term was being used. If we look at an Ngram of occurrences of the term “counter-Enlightenment” during the last half of the twentieth century what is perhaps most striking is that Berlin’s article in the Dictionary of the History of Ideas does not appear to have made much of an impact on the frequency with which the word was used. It appears that, when Berlin wrote his article on the concept, he was discussing a term that had been used, off and on, throughout mid-1950s (working my way through the various texts that used the concept prior to Berlin’s famous article has been one of the main reasons why this series of posts have taken so long to complete). Which, if any, of these uses of the term he might have known about remains, and probably will remain, an open question. He had been in contact with Trilling from 1952 and the two kept up a lengthy (albeit, rather uninteresting) correspondence until Trilling’s death in 1975, but there is no solid evidence that he was aware of the exchanges between Trilling and Barrett in Partisan Review. It is hard to see how he could have avoided coming across the termGegenaufklärung in the course of his reading of German histories of philosophy, but I have not done a systematic search of the texts he cites to see whether the term in there. At this point, all that can be said with any confidence is that when he wrote his article on “Counter-Enlightenment” for the Dictionary of the History of Ideas he took up a term that had been used by scholars working in a number of different disciplines. He was the first to write an extended discussion of the concept, but he was far from the first to employ the term. Further, it would appear that his initial use of the term had little or no immediate impact on the subsequent popularity of the term. 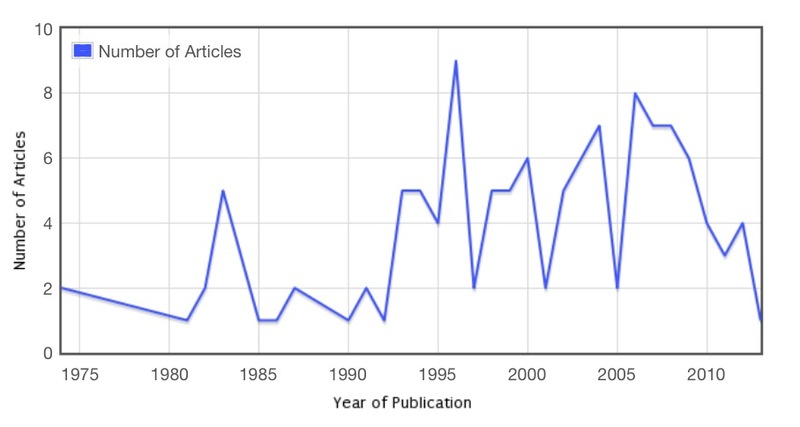 The major uptick in usage came in the wake of the publication of Against the Current, though the peak usage of the term would not arrive until around 1995. 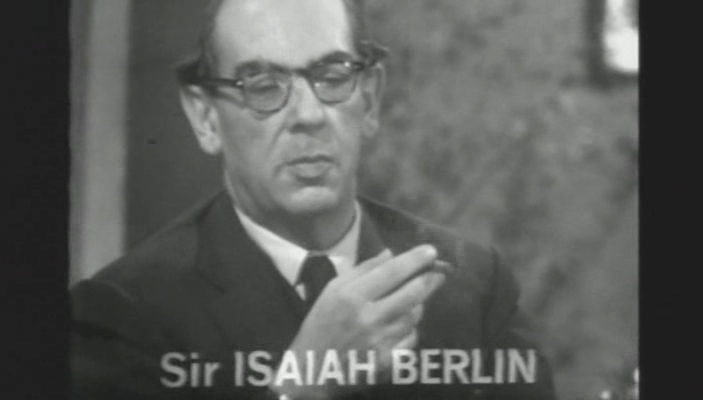 Isaiah Berlin was an early adopter of a term that, for reasons unrelated to his use of it, was already in the process of entering into a broader usage. This is what it looks like when someone invents a term that catches on and is taken up by others. Unlike “counter-Enlightenment”, the trajectory of “deconstruction” resembles the pattern of usage for those words that are used to designate things that needed to be invented before we could name them. In contrast, “counter-Enlightenment” was a term that was employed to designate traditions of thought for which we already had a variety of names (e.g., “enemies of the Enlightenment,” “critics of the Enlightenment,” “Romantics,” etc.). Berlin had every reason to have been confused. “Counter-Enlightenment” is not the sort of term that needed to be “invented.” The pieces from which it could be constructed had been lying around since the close of the eighteenth century and the terms “counter-Reformation” and “counter-revolution” served as readily available paradigms for showing how it could be assembled. 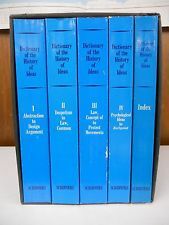 It could, nevertheless, be argued that though Berlin’s 1973 entry in the Dictionary of the History of Ideas may not have popularized a term that already enjoyed a limited usage among specialists, the republication of the article in Against the Current marked the point at which the term began to enter into a broader usage. This interpretation has some support in the Ngram for the term (especially if we assume that it might have taken some time for Berlin’s discussion of the term to reach a broader audience. But it is essential to know whether those who were making use of the term after 1980 were actually influenced by Berlin, rather than continuing to draw on earlier patterns of usage. Dan Edelstein recently called my attention to the uses to which the data visualization tools now available on JSTOR can be put. While I’m not entirely confident in the results I’ve gotten from playing around with them, they allow us to distinguish articles that use the term “counter-Enlightenment” from articles that employ both the terms “counter-Enlightenment” and “Isaiah Berlin.” The rationale for drawing such a distinction is that, just as early article that employed the term “deconstruction” would have been likely to mention Jacques Derrida at some point, so too an article that invoked the “counter-Enlightenment” — were it, in fact, a term that had entered into general usage because of Berlin’s discussion of it — might be expected to mention Isaiah Berlin at some point. But this does not appear to be the case. The main point to take away from this is that while the “counter-Enlightenment” turns up with some regularity in articles archived JSTOR over the last quarter of the twentieth century, there are only five years in which Isaiah Berlin’s name appears in more than a third of the articles in which the term “counter-Enlightenment” appears: 1974 (66%), 1981 (33%), 1983 (39%), 1994 (36%), and 1996 (32%). Some of these results are easy to explain: 1974 (which saw a paltry three uses of the term) was the year after the publication of the Dictionary and two of those uses of “counter-Enlightenment” mention Berlin. The 1981 results were likely influenced by the appearance of Against the Current, which was widely reviewed. The Magus of the North was published in 1993, which may explain the results from 1994, while the figures from 1996 may have something to do with the publication of the collection The Sense of Reality and John Gray’s study of Berlin (which included a chapter on “Romanticism and the Counter-Enlightenment”), a combination that provided an opportunity for a series of articles offering a general assessment of Berlin’s career. I have no idea what explains what is going on in 1983. None of this, of course, rules out the possibility that Berlin’s work may, in ways too subtle to document, have inspired others to take up the term. But it does suggest that those who were using the term felt little need to credit him for a concept that he had allegedly popularized. Having spent more than enough time attempting to assess Berlin’s alleged role in popularizing the concept, it may be useful to explore some of the ways in which the term “counter-Enlightenment” was being used prior to 1973, particularly in the wake of what was assumed (prior to Henry Hardy’s recent inventory of uses of the term) to have been its first appearance in English: the use by William Barrett in the Partisan Review. 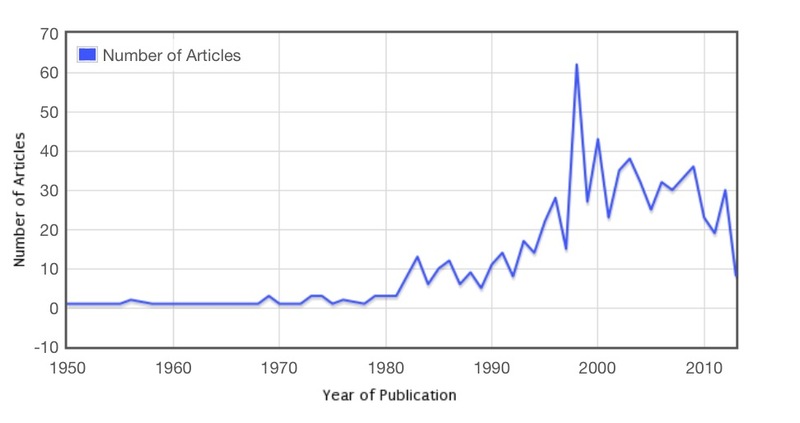 JSTOR turns up 15 article that used the term between 1949 and 1973. A considerably less reliable search on Google Books lists 58 items using the word during the same period, though this figure is inflated by the usual combination of bad metadata, repetition of items, and texts that cannot be accessed to confirm that there is actually anything present.5 Still, we have more than enough examples from this period to suggest that the term was being used, in slightly different ways, by a number of scholars (some of them with clear connections to each other) working in three areas: 1) literary criticism, 2) intellectual history, and 3) social theory. So let’s stop counting texts and start reading them. One of the earliest uses of the term by a literary critic was directly inspired by the 1949 exchanges between Barrett, Chase, and Trilling inPartisan Review: William Van O’Connor’s 1950 discussion of Lionel Trilling’s Critical Realism” in the Sewanee Review.6 O’Connor had worked with Trilling in the late 1940s and received his doctorate in 1948. 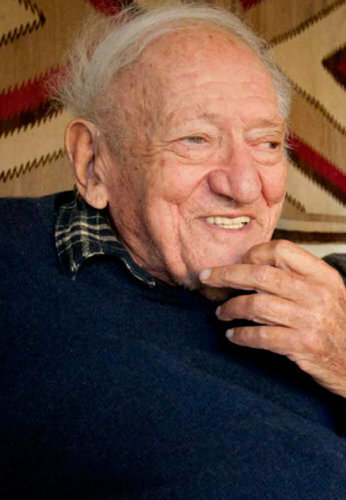 His article took the publication of Trilling’s Liberal Imagination as the “occasion for a general examination of Trilling’s critical position” (482). 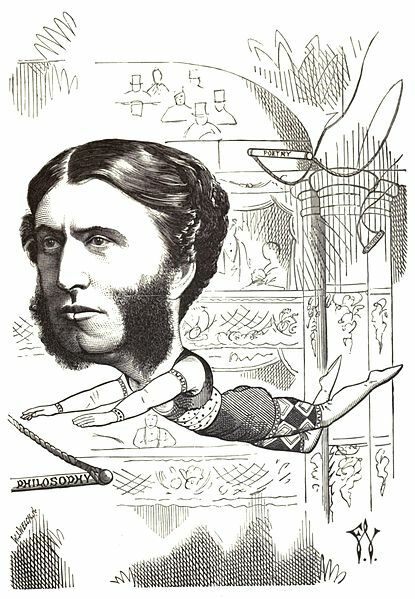 Matthew Arnold, himself an ardent liberal, took it upon himself to criticize the liberal mind. Lionel Trilling, our best student of Arnold and one of our most astute critics, has devoted himself both in fiction and criticism to examining those assumptions of the liberal mind that are themselves serious threats against a democratic liberal order. Many liberals tend to think themselves morally, politically, and philosophically above their fellows; but Trilling has reminded them that even they, “the residuary legatees of the Enlightenment,” are subject to error, that in its pride liberalism will “unless purged and enlightened by a critical effort of great seriousness inevitably corrupt and betray itself into the very opposite of its avowed intention of liberation.” (482). To the extent that O’Connor had much to say about the Enlightenment, his characterization amounted to the usual set of clichés: e.g., “Another of our inheritances from the Enlightenment is the assumption that knowledge is only that which can be tested and labeled genuine in a scientist’s laboratory” (489). Somewhat predictably, he saw the Enlightenment as narrowly “rationalistic,” which enabled him to follow Trilling in presenting the counter-Enlightenment as a necessary corrective: it is “a movement that does not destroy but that qualifies and modifies our rationalistic tradition” (490). the reflection in fiction of the counter-enlightenment premise John Stuart Mill located in the Germano-Coleridgians: the Enlightenment had erred from a totally inadequate conception of human nature (88). World War II, a doctorate from Chicago’s Committee on Social Thought, and occasional articles for Partisan Review. What is perhaps most striking about his piece on Doctor Faustus is its stress on a “counter-Enlightenment” that includes considerably more troubling thinkers than the assortment “Germano-Coleridgians” and Romantic poets typically invoked by those who followed Trilling’s lead. Far from treating the counter-Enlightenment as a useful corrective to the “rationalist” excesses of the Enlightenment, Frank reminded his readers of its more problematic role in recent history. … while Nietzsche saw himself as carrying forward the banner of Enlightenment inscribed with the names of Petrarch, Erasmus and Voltaire, there is a little doubt that his own work had given a mighty impulse to the counter-Enlightenment holding the field in the Twenties. “Following in Nietzsche’s footsteps” Mann writes, “whose battle against Socrates’s enmity to instinct so pleases our prophets of the unconscious … following in his footsteps all the anti-rational tendencies of the 19th century have continued to our own day; In the more extreme cases, of course, not so much in his footsteps as over his body” (23). 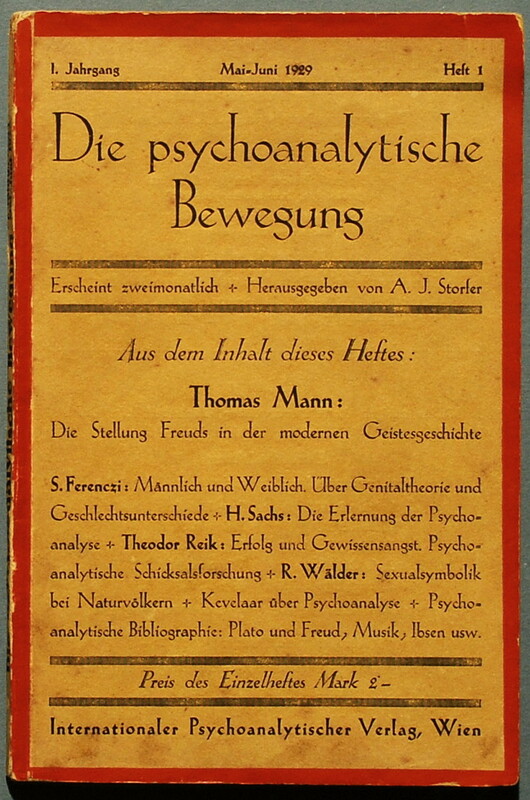 While there is much here that needs to be sorted out (including a further discussion of just what Nietzsche might have been doing with Aufklärung and Gegenaufklärung in the peculiar sketch discussed in the opening post in this series) for now it may be enough to note that the relationship between Enlightenment and counter-Enlightenment that Mann was articulating in this lecture was far removed from the way in which it was understood by those admirers of Trilling whose understanding of the Enlightenment seems to have been limited to the set of cliches circulating among admirers of English Romantics for at least the last century. Nowhere is the disjuncture between Frank’s discussion and Trilling’s clearer than in the passing comments on Freud’s 1929 lecture that appear in the chapter on “Freud and Literature” in The Liberal Imagination. The strength is the fine clear tenacity of his positive aims, the goal of therapy,the desire to bring to men a decent measure of earthly happiness. But upon the rationalism must also be placed the blame for the often naïve scientific principles which characterize his early thought — they were later much modified — which consist largely in theories for his theories a perfect correspondence with an external reality, a position which, for those who admire Freud and especially for those who take seriously his views on art, is troublesome in the extreme (41-42). What is perhaps most striking here is Trilling’s failure to comprehend either the political context in Mann was working or the relationship between progress and reaction that he would go on to develop in Doctor Faustus. But to understand any of this, Trilling would have had to appreciate that “the counter-Enlightenment” was populated by nastier figures than Mill’s clubby Coleridgians and that the Enlightenment was neither as rationalist nor as narrow as he assumed. The term also appears quite frequently in works written by historians during the 1950s and 1960s and, in most cases, serves as a way of designating the period that follows — and is populated by thinkers who are opposed to — the Enlightenment. Indeed, the usage seems to be so well-established and consistent that I suspect that it is likely that the term was a commonplace among historians well before Berlin’s article in the Dictionary. It turns up again in a review of The Icon and the Axe, James Billington’s study of Russian culture. Today, this image of the masses-as-barbarians is a negative vision, formed in reaction to the Progressive vision of an emancipated and omnipotent People marching inexorably Forward. The involution of this image, made popular by writers as similar in mind and diverse in talent as Ortega y Gasset, Walter Lippmann and Peter Viereck, is based on an aristocratic conception of political life that sees humanity as divided into two species: the primitive formless mass, and the élite, which is evolved, refined and purified from the mass and, presumably, restrained by inner controls. The insistence on the “imperfectability” of man, dinned into our ears lately, contains a staggering irony if one considers that it is educators, professors, journalists and other professional moralists who are writing in this vein and consequently declaring that their function in society is entirely useless. There is no reason for their existence if it is true that men, or even the masses, are unchangeable. He who denies human “perfectibility” is an immoral moralist because he prevents it from becoming real. the revival of counter-Enlightenment images has many special causes and functions. In a highly industrialized society, where solidarity is largely created by impersonal and mechanical bonds, the myth of the good Public or its involution, the bad Masses, is an abstraction that creates a false social unity. The “masses” are not savages or beasts to be restrained by institutional devices, but human persons whose nature is social, who are capable of evil as well as good, who may be harried, intimidated and provoked into abnormality and delinquency, but who will find happiness only in the good. In a climate of distrust and fear, any individual and any group is a potential menace, but when these conditions are removed, people will respond with changes of “nature” that are incredible and profound. What I find most intriguing about Walter’s use of the term (aside from having known him but not having realized that he was among the early users of the term that Isaiah Berlin didn’t invent) is the ways in which, like Mann (and, like Freud and Nietzsche as read by Mann) he sought to turn the arguments of the counter-Enlightenment against it and use them in the service of the hopes that had once been nourished by the Enlightenment. In that effort, he was keeping faith with the project that Theodor Adorno sketched in Minima Moralia: “Not least among the tasks now confronting thought is that of placing all the reactionary arguments against Western culture in the service of progressive enlightenment.” It is likely that he was aware of the ways in which his efforts were linked to this tradition: his Brandeis colleagues included Herbert Marcuse. Finally, at the close of the 1960s, the journal Salmagundi published a translation of Jürgen Habermas’ discussion of Ernst Bloch. This translation, awkward though it may be, is significant not just because it is one of the first of Habermas’ texts to appear in English. Unless I have missed something (which is always a possibility in this sort of work) it marks the first translation of the German Gegenaufklärung into English. Towards the end of Zeev Sternhell’s discussion of Isaiah Berlin’s thought it becomes clear that Sternhell not only views Berlin’s account of the relationship between the Enlightenment and the counter-Enlightenment as flawed (a judgment that, it might be noted, is not unique to Sternhell) but also sees Berlin as one of the Enlightenment’s craftier, and more effective, enemies (a judgment that may well be unique to Sternhell). It was precisely because Berlin was always able to position himself at the heart of the liberal establishment that there are few men who did more harm to the tradition of the Enlightenment than he did. Relativism is inherent to anti-Enlightenment thought, and despite his attempts to show otherwise, Isaiah Berlin, like Herder, was a relativist who refused to declare himself (418). Intent on documenting the Cold War roots of Berlin’s account of the Enlightenment (a project that is nowhere near as questionable as his book sometimes makes it seem), Sternhell devotes little attention to Berlin’s article on “the Counter-Enlightenment.” It is as if, having assumed that Berlin was a friend of the enemies of the Enlightenment, it would be “no accident” for him to have contributed an article on their behalf to the Dictionary of the History of Ideas. Berlin was invited to write it by the editors of the work. Berlin proposed the idea for such an entry and the editors accepted it. The second option has one thing in its favor: Isaiah Berlin was not simply a contributor to the Dictionary, he was also on its editorial committee. This would have provided him with opportunities not normally available to contributors, including the possibility of suggesting a topic on which he wanted to write. But there is no reason to suppose that he was granted a carte banche and it is hard to see how the other editors of the Dictionary could have accepted a contribution on a topic that did not enjoy a certain currency. I am inclined to think that it was Berlin who proposed the topic, but the survey I’ve provided supports either possibility. Having been engaged in research of a group of thinkers that might not easily fit into the existing topics that the Dictionary would be surveying, he may have proposed writing an article on “Counter-Enlightenment.” That the editors did not regard this proposal with the blank stare that they would have regarded a proposal for an article on the topic “Deconstruction” is easily explained: there is every reason to believe that this would have been a term that, by 1973, was reasonably familiar to them. The examples I have present here could also support the first possibility: reviewing the topics to be covered in the Dictionary, the idea of an entry on “Counter-Enlightenment” might have been proposed and Berlin, who had done work on those thinkers who were associated with it, was invited to write it. This explanation, like its alternative, presupposes that “Counter-Enlightenment” was hardly an unknown term. And, on the basis of the evidence I have presented here, there is every reason to assume that, by 1973, was quite familiar. Rosen’s characterization of the book is significant for one further reason and, with a brief consideration of it, I can at last bring this series of posts to a close. It is likely Rosen was not alone in sensing that the article on “Counter-Enlightenment,” which — understandably — opened the volume (where else could it go? ), laid out the overarching concerns that informed the other essays in the volume. It provided readers with a way of understanding how Berlin’s previously uncollected contributions to the history of ideas might be related to his more familiar work in political philosophy. From this emerged the now-familiar image of Berlin as a defender of liberalism who drew on the intellectual resources of the so-called “counter-Enlightenment” to curb the totalitarian tendencies that had plagued Enlightenment thought. Once this connection had been made it was hardly surprising that “Isaiah Berlin” and “the Counter-Enlightenment” would come to be closely associated. Obviously, the first plot contains all of the articles that are turning up in the second plot. This entry was posted in Uncategorized and tagged Begriffsgeschichte, Counter-Enlightenment, History of Concepts, Isaiah Berlin, Lionel Trilling, Nietzsche, Thomas Mann. Bookmark the permalink. You’re more than welcome. And thanks for all the interesting things you’ve been doing on Noir-Realism. I agree with your premise, but have a question: Even though the concept “Counter-Enlightenment” is a late conception – both inventing itself in Berlin and used by him, what of the thrust of the actual ‘use’ of that term as a useful catch-all phrase for the study of reactionary history? Should the term be thrown out? Is there a better approach toward writing a history of those like Burke, Carlyle, Boland, etc. who were definitely against certain forms of radical enlightenment notions? And, what of Johnathan Israel’s three volume history of the enlightenment, or even Peter Gay’s older introduction of all the aspects? They do not use that term per se, but see definite enemies of the philosophes and their ideas, etc. And see, as well, different or even multiple enlightenments rather than just one unitary structure under the concept of Enlightenment itself. Are their concepts that are more appropriate for this, or do you see such concepts as a reductionary ploy that is too broad a concept to be of any use? Far be it from me to tell people how to talk, but I tend to think that “enemies/critics/opponents of the Enlightenment” is preferable to a construct like “the Counter-Enlightenment” in that it doesn’t assume that there is a monolithic “Anti-Enlightenment” tradition running from the opponents of the French revolution down to the present. That strikes me as the fundamental misconception from which many of Sternhell’s more questionable conclusions flow. For this reason, I think Graeme Garrard’s use of the plural in his study of “counter-Enlightenments” makes a lot of sense. I wrote a bit about Sternhell’s comments on Garrard’s book (he patched a long footnote into the English translation of The Anti-Enlightenment Tradition that strikes me as worth discussing) but wound up pulling it from the last post because it was getting too long; at some point I may work it up as a separate post, but I’m ready to take a break from writing about the Counter-Enlightenment for a few weeks. The damned thing is a swamp. I’m trying to come up with something sensible to say about Jonathan Israel, but just when I think I’m getting a grip on what’s going on, another 1000 page book arrives. I wish I could match his work ethic, but occasionally I need to make dinner and go to sleep. Haha… I understand. Yea, I’ve found it all to be a jungle, and these all inclusive unities of Enlightenment and Counter-Enlightenment seem more like reductionary myths rather than useful concepts. Because as you say the whole era in questions was ‘contested’ and these actual individuals did not consider themselves within these terms. My reasoning is based on just looking at our own time: in the sciences of let’s say one specific one – neurosciences there is an extreme shift between nominalists and realists with no real demarcation or neutral zone so to speak. I’ve always gone along with Hume in the fact that he felt we should balance and way the propositional and non-propositional forces at work in studying history. There can be no unified field theory for history, and reducing our study to notions of Enlightenment, Renaissance, etc. are just useful conventions, or as we might say now – scholarly fictions and marketing labels rather than true categories that can help us understand the truth of history.